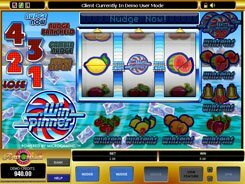 This Microgaming-powered slot with 5 reels and 9 paylines has been developed exclusively for Belle Rock casinos. Its symbols are all about gambling, including cards, roulette chips, and casino logos. A coin value comes in a range of $0.01 to $2. 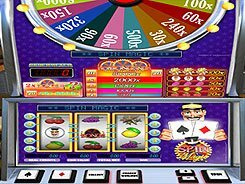 Besides, you may adjust the number of paylines to wager on, and the number of coins per spin (max. 5), which translates into the floor and ceiling bets amounting to $0.01 and $90 accordingly. 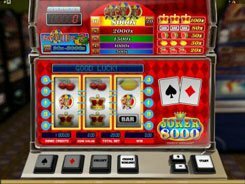 The second-largest cash prize of x750 is granted for five matching Gaming Club logos or River Belle logos appeared on an active payline. 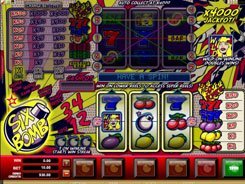 The top prize of x10,000 times your line bet is awarded for five Belle Rock Entertainment symbols that act as a wild and wild multiplier doubling the payouts. 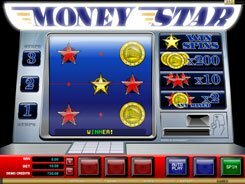 If three or more scatters land in any position, you get 15 free spins at a x3 multiplier. 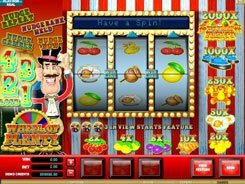 Finally, you may benefit from the gamble feature to increase your winnings twice or four times. 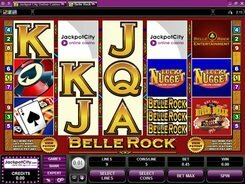 Belle Rock is a well-balanced slot machine with smooth gameplay, slick graphics and easy rules. PLAY FOR REAL MONEY!